There were times when we taking a picture wasn’t such easy. But inventions of smart phones with quality cameras have made things easy for us. And gadgets such as Selfie Stick and tripod has added even more pleasure in photo capturing. Now you can take as many selfies as you want without any hassle. And if you are looking for group photo tripod can be your best partner. But issue is how to carry selfie stick and tripod all the time with you? It can be, if both of these features are available in single product. 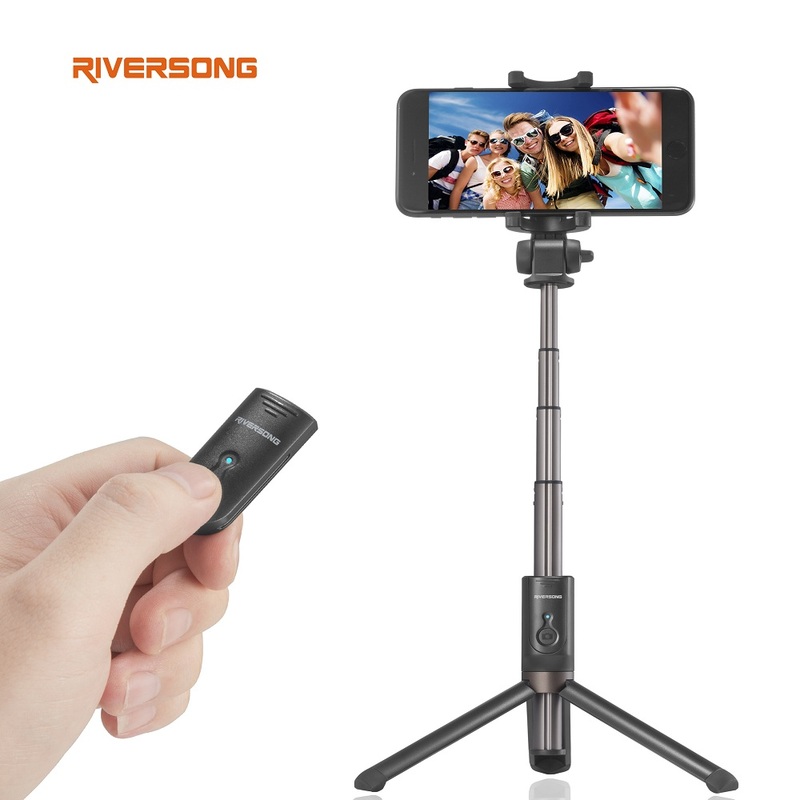 Riversong brings for you one of the best Selfie Stick Tripod. It’s smart, elegant with so many smart features. This wireless phone selfie stick is compatible with iPhone 7, 6S, 6 Plus, 5S, Samsung Galaxy S7, S6, S5, Note 4 and many more devices. The width of phone holder is also of universal size, so if your cellphone is among 55cm to 85 cm you can easily adjust your phone in the holder. 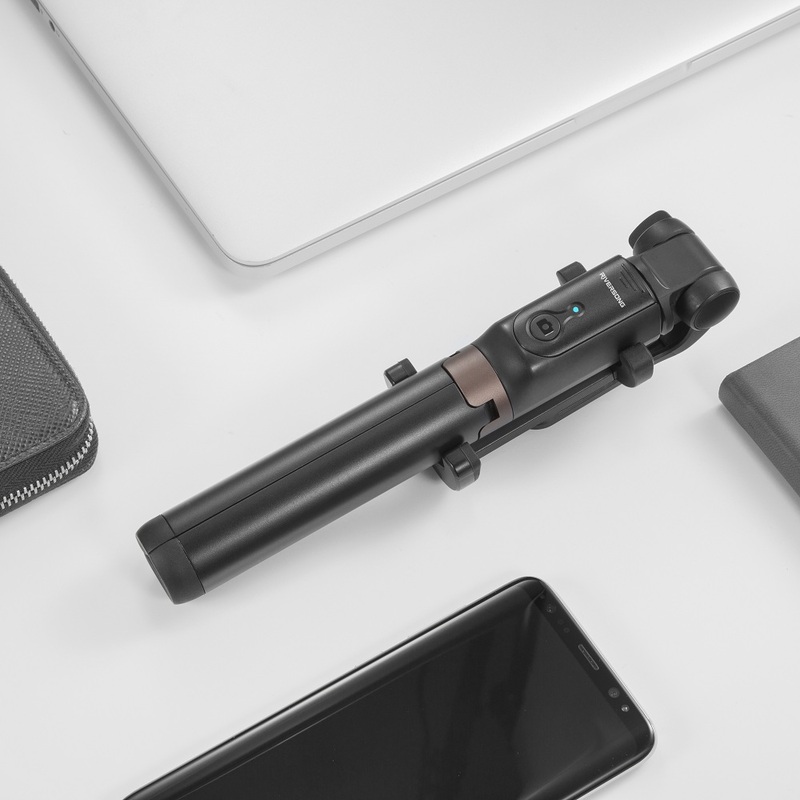 Apart from that it comes up with 65mAh high capacity Bluetooth remote.That’s a huge one keeping in mind you can take around 50000 shooting with single charged battery. And I am sure it will takes weeks taking that many pictures. This selfie stick tripod is smart and very easy to carry with you no matter you are going for a tour or attending a party. It can be extended up to 60 cm, that gives you a good view of yourself. And with 360° ROTATION the things gets more interesting. It gives you perfect distance and angle to capture wonderful pictures. No matter you are taking a group photo or a selfie this selfie stick tripod is surely a perfect choice. And this product is not only high quality and would surely go on for long time, but also comes but with one year guarantee that makes it even more trustworthy. As RIVERSONG is offering one year unconditionally refund or free replace if defective or any quality problems is found. And with this they are also offering lifetime friendly technical support. 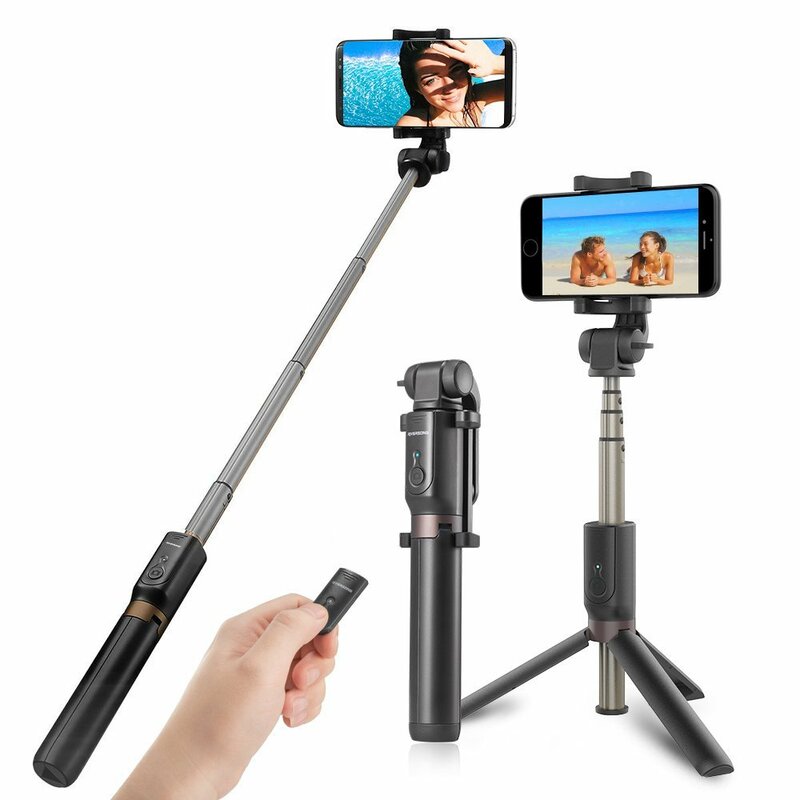 That surely makes this Selfie Stick Tripod your ultimate choice. And what about your plans this Halloween, you would like to have parties, horrifying your friends with Halloween looks and lot of enjoyments. You would surely like to capture these moments and Riversong provides you an opportunity to enjoy this big day with an ease and discount. During Halloween, there will be discount code for buying the product. Normal price is $21.99 but after applying 30% off Amazon Code GUFQN6N4 you are gonna get it for $14.99. This promotion will start from Halloween and stay for one week. To avail the opportunity visit now. And for more such giveaway activities you can follow the Riversong Facebook page.